Steampod flat iron. 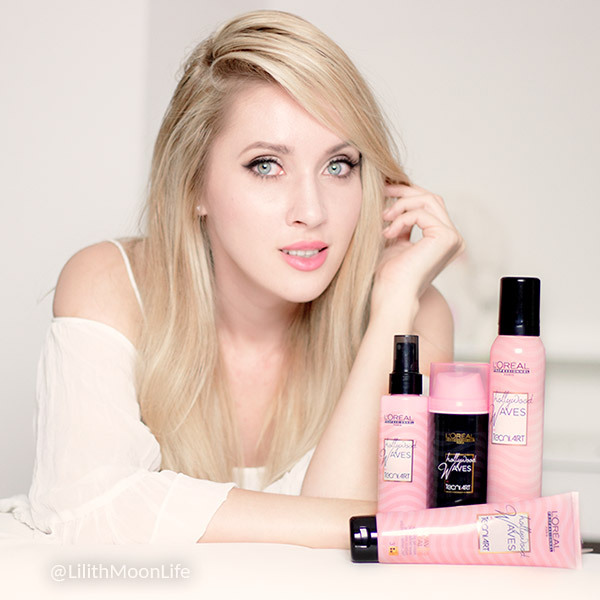 50% smoother hair, 50% faster! Welcome to the new generation of hair straightening! Today I'm going to review a brand new kind of a flat iron: Steampod by L'Oreal Professionel. As the name suggests, the key element is steam, providing a gentle innovative heat action whilst minimising heat damage to the hair. L'Oreal claims that with a Steampod you'll see results that are up to 50% smoother and 50% faster compaired to a regular straightener, and I couldn't agree more with this claim! Personally, I find it *twice* faster to use and not only it straightens the hair, it turns it into silk! The first time I used it, I couldn't believe how awesome it was. And here I have to tell you that when it comes to hair products and tools, I'm *very* hard to impress! 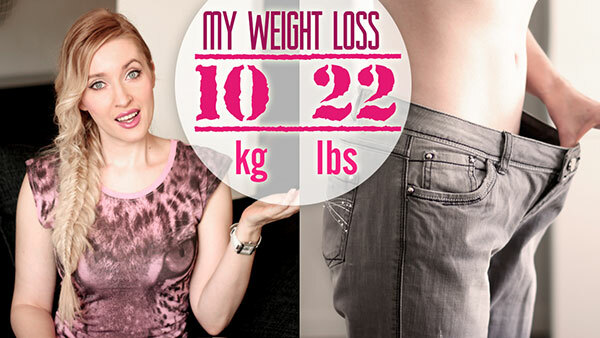 Last year I lost 11 kilos or 24 pounds in 3 months and I started my weight loss from orange juice fasting. Feel free to read my entire weight loss story while in this post I'd like to focus on orange juice fasting. 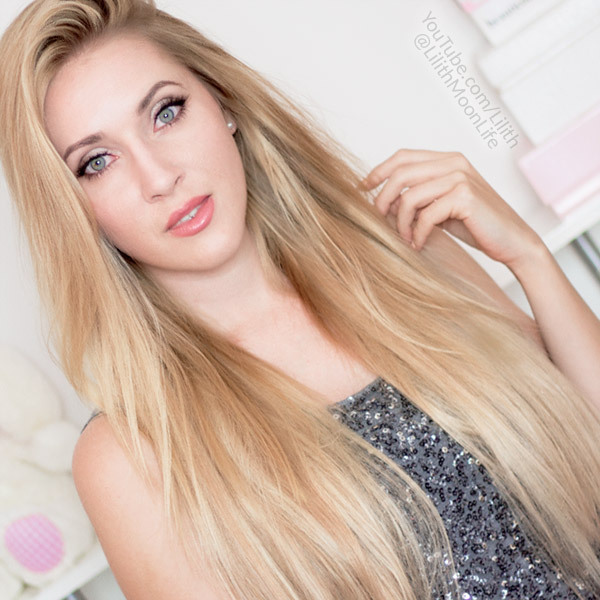 - prepare straight hair for curling. Summer never ends in Qatar and on weekends I love going for long walks in the Corniche - a waterfront promenade extending for several kilometers along Doha Bay. Corniche begins near the Museum of Islamic Art overlooking gorgeous towers of West Bay, picture perfect business area of Doha, and ends near the distinctive pyramid-shaped Sheraton Hotel. Today I'm wearing one of my new favorite outfits: a pencil skirt with fringe paired with a tight denim jacket. I love everything about this skirt - it was love at first sight and the only thing I brought from USA recently. Hopefully I can find some more similar looking skirts but in fun vibrant colors. 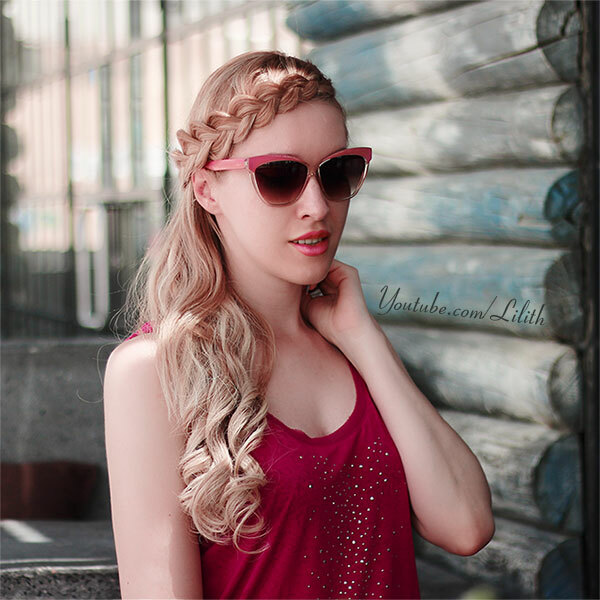 Let me know if you want me to make a tutorial for this hairstyle! 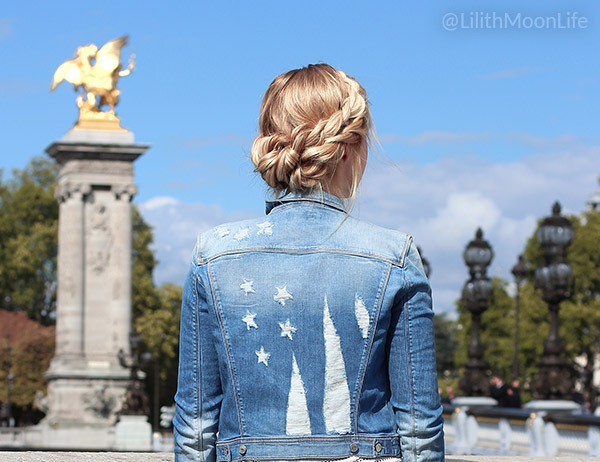 Today I'm sharing with you one of the casual outfits for long walks in Paris. Recently I got totally addicted to messy buns and I wear them at least 3 times a week :) In this hair tutorial I show you my favorite technique of create one. Every single time it turns out differently, and that's what I love most about it! Today I'm enjoying my "new" dress :) It used to be just past my knees and I had it shortened recently. Love it so much more this way! 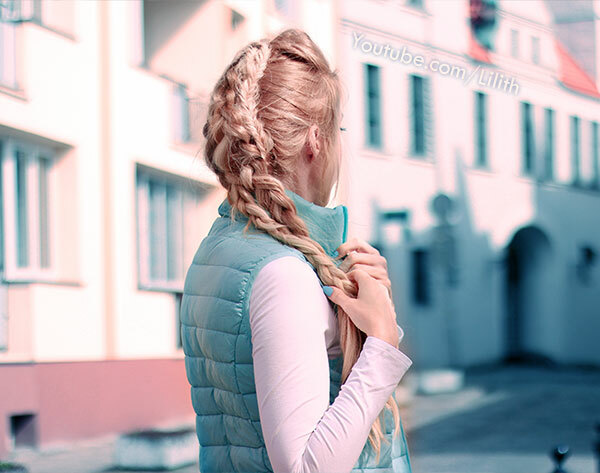 This hairstyle is an illusion braid from this hair tutorial. I just love going for long walks in Paris and in this post I'm sharing with you one of my favorite fall outfits - all denim and all comfy, especially the shoes from Ecco! I was trying to avoid Ecco for many years since I find their design very old fashioned, BUT recently they changed their style quite a bit and introduced many trendy models. So I finally got a pair and don't regret it at all since these shoes are the most comfortable ones I've ever worn. 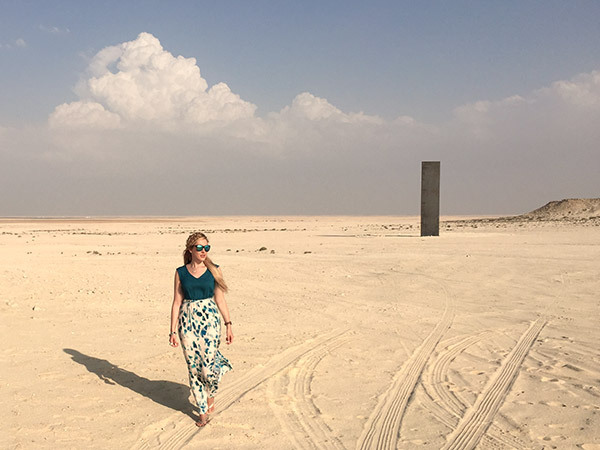 The other day we went exploring Qatari desert sculptures by Richard Serra and I have to admit I never saw something like this before. Hi guys! 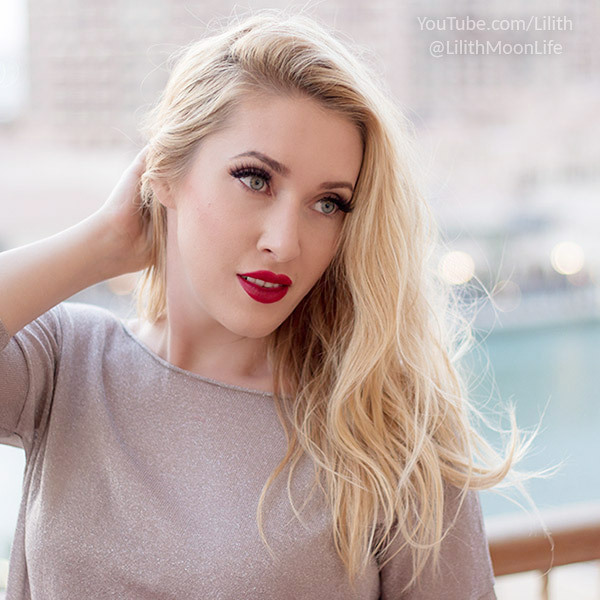 Today I'm testing Huda Beauty false eyelashes :) In the following pic I'm wearing falsies called Carmen and further in this post I'll show you 5 other designs. I love wearing falsies for photos, videos and whenever I have a special event to attend. 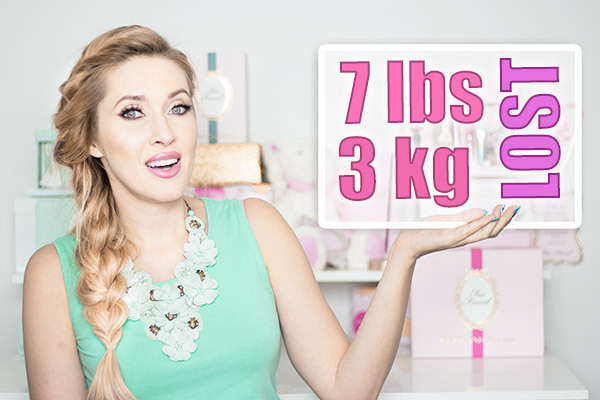 Today I'm going to show you some of my favorite accessories and look of the other day in Poland. It was a *really* hot day, thus a super mini dress ;))) Normally I'd wear it as a top with leggings, but once in a blue moon, when it's really hot or when I find myself somewhere by the beach, I like to go for a bold mini. Paired with flat shoes and a casual vest, the entire outfit looks relaxed. Denim is really on trend these days and I'm enjoying it to the fullest. It's crazy how it goes great with pretty much any relaxed outfit giving it that modern, trendy yet effortless feel. No wonder I love denim so much - blue is one of my favorite colors! You can find it my accessories: watch, bracelet and multiple rings. I have a huge weakness for bracelets with charms and finally I found a perfect JORD watch to go with my Ti Sento bracelet! The face of this watch is a gorgeous turquoise color while the bracelet is made of beautiful brown wood that not only complements the colors in my bracelet, but also matches many of my sunglasses and bags. I love how wood makes this watch really unique and contemporary. 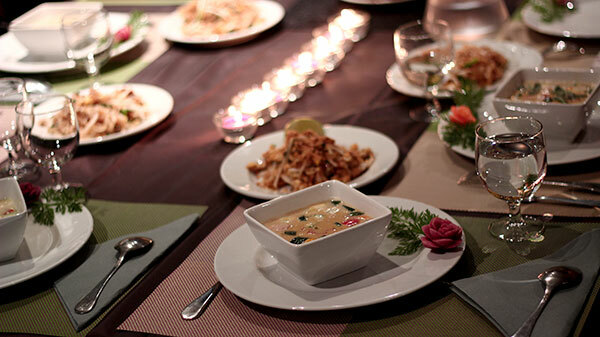 Check out the close ups further in this post! Here you can see one of my favorite bags (the one with rivets and fringe) and sunglasses (chic leopard and cute round pink ones). When it's hot, I like to wear my hair up ... and we all have to agree that a fishtail is the queen of braids, so I simply cannot get enough of it ;) Tried to catch a bit of sunset in my hair, hope you like the artsie feel! Summer makeup tutorial 3-in-1 with Too Faced "Sugar Pop"
Hello and welcome to me 3-in-1 summer makeup tutorial where I'll show you how to create several cute, quick and easy looks for everyday or a party. Fresh and vibrant, they are very fun to wear! Tu-Tu, a netural pink-toned shade that goes well with my "Candy" turquoise-purple-pink look. 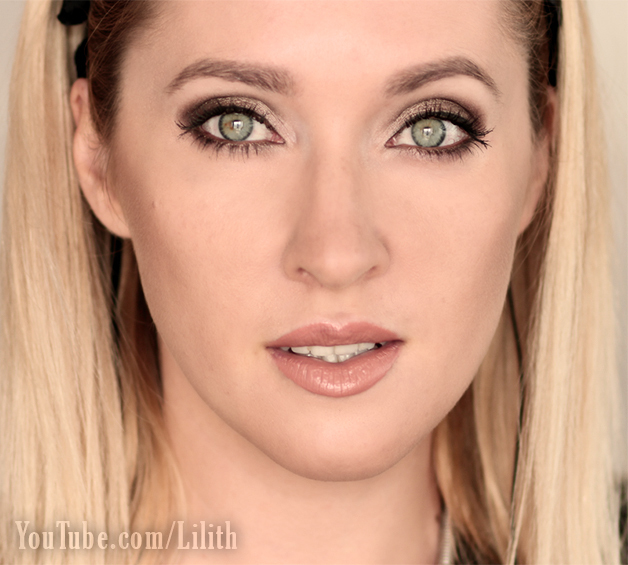 Debutante, a golden-toned light peachy shade that complements my warm toned orange and brown "Spicy" makeup. 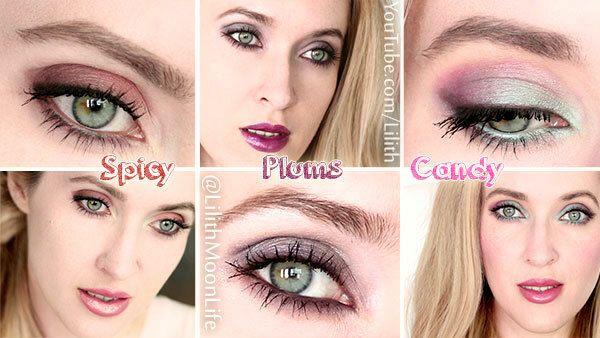 Jelly, a dark and intense purple shade that matches plum colors of my "Plums" eye makeup. Hi guys! Until I saw Beyonce's look at Met Gala 2015, I never thought that high side swept ponytails could be such a fun style to wear. I decided to try it out combined with an upside down braid at the back. Unlike Beyonce's ponytail that is sleek and curled, mine is big and messy :) That's how I like for casual wear! Here's another look of the day in Qatar. Here it's all about covering knees/shoulders, so I finally get a chance to wear my maxi skirts which look a bit weird in busy urban Paris. When it comes to maxi skirts, I feel like they make people look a kind of "mature" so I like to mix them with relaxed "frivolous" tops. This way the entire look appears less serious and more fun. Right now I'm in Qatar and it's really hot here. I thought I'd show you one of the looks I like to wear a lot these days: braided bun and maxi pants combined with my favorite jewelry pieces. 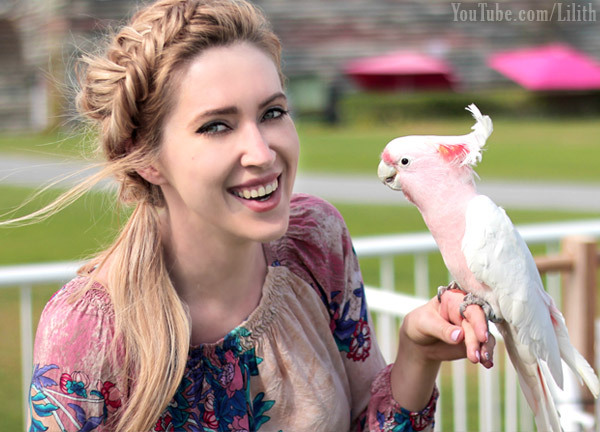 Click here to watch my hair tutorial on the braids and here for the messy bun tutorial.